Narrow “Jamb Style” Push Plate Switch. 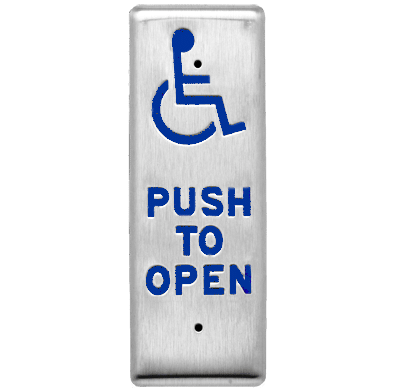 With “PUSH TO OPEN” and ADA Logo. “All-Active”. UL Listed/CSA Approved Single Pole Switch. 304 Stainless Steel with #4 Satin Finish. Mirror, or Antique Brass Finish Available.